If I had not spent six years on the campus of Brooklyn College as a tenure-track professor in the Journalism Program of the English Department, I’d say the Joe Wilson story was pure fantasy. Allegations of pure thievery; crass racism of the kind we associate with Brooklyn of the 1950s; “academic” decisions made on the basis of friendships and even romantic liaisons; a gangster-type bonding against perceived enemies. It’s all there in the story of Political Science Professor Joseph Wilson, former head of the college’s Graduate Center for Worker Education. The allegations of theft against Joe came three years ago, leveled by Brooklyn College President Karen Gould (and some in the college’s Political Science Department). They (along with CUNY) said Joe had illicitly enriched himself to the tune of $200,000 and that he had run the Center as a fiefdom. Wilson’s opponents in the Political Science Department ended up taking over the Center, at 25 Broadway in Manhattan, and closed it down. Other classes run by the college are meeting there now. Now comes Wilson, firing back and asserting in papers filed in federal court that he was targeted largely because he was a black man without powerful allies. He says that power-obsessed faculty members in Political Science – throughout the 67 pages of the filing they are referred to as the Gang of Five – were also seeking revenge for his perceived positions on various personnel matters. One allegedly was angry because he opposed that professor’s original appointment to the department. Another allegedly believed Wilson was against the hiring of that professor’s lover. It all sounds bizarre, like something out of a novel of gentrification-age Brooklyn ambition, lust and racism. But being a black guy myself who has run the gauntlet of academic personalities whose race attitudes and ethics I’ve questioned, I see Wilson’s assertions as a reflection of a world that is. Not that I’ve witnessed it all. But I’ve seen enough of it to say, It all sounds reasonable to me. As for Wilson’s saying that he and other blacks as well as Latinos, especially males, are powerless and vulnerable, that I know without a doubt to be true. Oddly, 2012, the year Wilson’s matter reached its high (or low, if you will) point, I found myself in one of the weirdest episodes of race and ethical misdoings I’d experienced in more than three decades in the professional workplace. For that was when, in May, Ellen Tremper, Chair of the English Department, arranged to have negative comments about my work (that it was insufficient and insubstantial) inserted into an otherwise glowing evaluation signed by a third professor. I was stunned when I saw the final evaluation. I came up with evidence showing that the negative sentences had in fact been inserted by an ally of Tremper’s. And the college, after a hearing, decided in my favor. But rather than punish Tremper, the college simply let her start the process all over again. I argued that that was like saying, If you want to screw the guy, do it right; do it according to the contract. A colleague told me at that point that I had a target on my back. And for sure, follow-up evaluations were done, among others, by Tremper’s best friend and by a professor with close family ties to her. Over the past two and a half years I’ve filed reams of memos to Brooklyn College and to CUNY Central, essentially pointing out instances (verbal and through actions) of racial hostility on the part of Tremper. So I have an emotive connection to the case being made by Wilson. Oh, and there’s also the fact that I see Tremper as a close ally of Corey Robin, the chair of the Political Science Department, whom Wilson accuses of orchestrating the attacks on him. Wilson’s case is much worse than mine; and he argues that it reflects the sorry and worsening condition of black faculty members at CUNY’s top tier colleges, notably, in this instance, Brooklyn College. Wilson says in his filing (in January in Eastern District court) that black professors at Brooklyn College have been concentrated in Africana Studies, the SEEK Program and Education. Those blacks in other departments, such as his Political Science or my English Department, find themselves dealing with coalitions that seem based often on ethnicity, sexual orientation or asserted radical politics that – believe me – have little to do with the radicalism of the old Civil Rights Movement. The papers also said that days after Wilson made that speech, Brooklyn College President Gould barred him from coming onto the campus at all. Wilson is technically not fired but rather under a suspension. 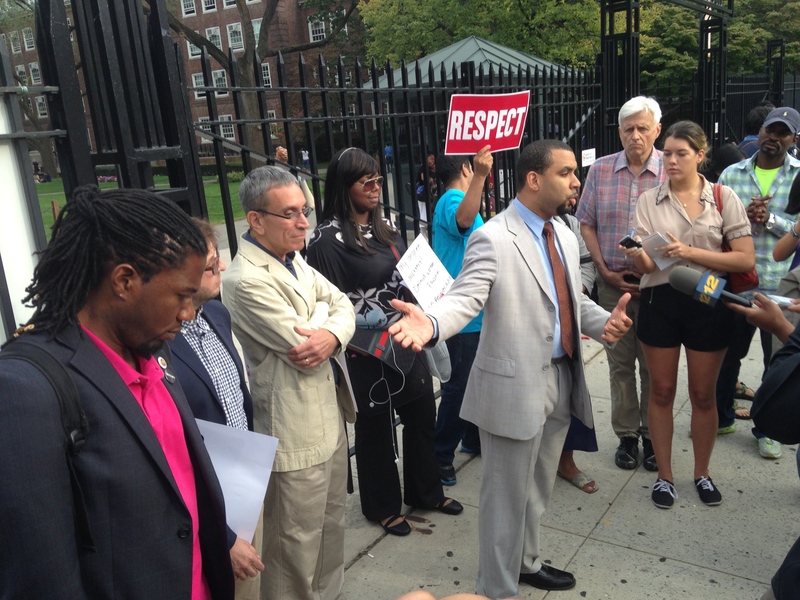 Jason Carey, Brooklyn College’s spokesperson, said the college would not have any comment on Wilson’s filing. What has been especially upsetting to me about the Worker Education episode was the involvement of former Political Science Professor Noel Anderson. When I started at Brooklyn College in August of 2009, Anderson spoke to us gathered new faculty members (as I recall, I was the only black in that whole group of new professors assigned to departments all across the college). Anderson, a homegrown guy, was upbeat; and I was naturally struck especially by seeing a black guy in his position there. But Anderson, apparently because of his ties to the Center for Worker Education, abruptly resigned from his faculty position three years ago; and he has not been seen on the campus for going on three years now. I tried to reach out to him through mutual acquaintances, but he did not get back. He is said to be affiliated with a non-profit called Year-Up. I am assuming that Anderson is in deep pain. I have been told he is very angry. I do not know why he will not speak. It’s a sad Brooklyn story. It might be called the case of the Disappearing Black Professors. Meanwhile, Wilson is suing to have his name cleared, by showing he was abused and unlawfully humiliated and wrongly subjected to suffering that has hurt him deeply. Wilson is asking for $20 million as well as other compensation for what was done to him. I wonder also if it’s possible that, given the allegation that there was a conspiracy to defame and injure Wilson, prosecutors on the federal or even local level might look into this matter. I’m feeling that this whole chapter should be seen in the context of what is happening broadly in New York City but more specifically in Brooklyn, where blacks are being forced out of traditionally black neighborhoods by soaring rents that are bringing in newcomers, wealthier and more highly educated, to displace them. Blacks constitute more than a quarter of the student population at Brooklyn College, but some argue that the numbers are going down. Especially troublesome is that the percentage of black males admitted to the college directly from high school is so paltry. Wilson says in his filing that it’s an astoundingly measly two percent. The college and CUNY counter this by saying that large numbers of blacks and Latinos come from community colleges, to which they are more easily accepted after graduation from high school. What I’ve heard from speaking with students is that those transfer students suffer quite a bit, in that often they are unable to transfer community college credits to Brooklyn College, meaning loss of money, not to mention the time and frustration involved in the effort. They used to call Brooklyn the borough of the blacks. In that context, what’s being seen now is so full of irony. I’m writing this on the run, with six hours of classes today! The wonderful thing about writing a blog is that you can correct any errors or typos pointed out by kind (or aggrieved) visitors. This is the sharing quality of blogging that is so appealing. And, as we used to say, mtk: More to come. A relatively obscure but important development at the City University of New York finally got some public attention last January 13 (on page A17) when the New York Times’ Ariel Kaminer wrote an article about the railroading of Political Science professor Joseph Wilson for alleged financial improprieties at Brooklyn College’s Graduate Center for Worker Education (“CUNY Hopes to Dismiss Brooklyn College Official Over Financial Inquiry”), except, the story joined the dismissal effort. It not only presented almost only the accuser’s side of the story—that of the Brooklyn College administration—but also omitted all kinds of important and relevant facts surrounding the story. Kaminer did this even though various parties had informed her prior to the article’s publication about the wider context in which Professor Wilson was railroaded. Apparently Kaminer considered Wilson’s defense arguments and the story’s wider context to be irrelevant to the persecution of a respected professor, who has not faced any criminal charges more than one year after being dismissed from his post as Director of the Graduate Center for Worker Education. Before delving into the details of the accusations and of Wilson’s defense, let’s take a step back and examine the larger context that Kaminer deemed to be irrelevant. First of all, after 30 years of operation, in early 2012, Brooklyn College’s Graduate Center for Worker Education (GCWE) was being gradually closed. Its adjunct faculty (including the author of this article) was summarily dismissed by Fall 2012 without any explanation, and recruitment of students was halted. Until then, the GCWE had catered to working students who sought a master’s degree in Urban Policy and Administration. It was conveniently located in lower Manhattan and offered evening classes to accommodate students who worked regular working hours. The student body was extremely diverse and mostly working class with union backgrounds. Why was the program being closed so quietly? No official explanations were offered at the time, but it is not far-fetched to see this closure as part of the larger onslaught against the working class more generally. The only explanation that was ever made public was posted on the blog of the GCWE’s interim director, Corey Robin, who was in charge of closing the program and who had responded to a petition to reopen the Center. In a nutshell, Robin’s explanation was that the program had to be closed due to alleged mismanagement and because it was not really a worker education program because it did not focus on labor issues. Aside from the silly claim that a worker education program ought to be focused on labor issues—silly because it’s not a labor relations program, but an urban policy program that specifically caters to working students and teaches courses from the perspective of workers—let us examine the issue of supposed mismanagement, which is the issue that the New York Times focused on. The most grievous problem is that Kaminer’s article lists all of the accusations that Brooklyn College has lodged against Prof. Wilson, such as alleged misuse of funds, but fails to provide anywhere near the same level of detail about Prof. Wilson’s defense. Kaminer’s focus on the accusations—before there has been a determination on Wilson’s guilt or innocence—turns the article into an exercise in public punishment via defamation. Not only that, Kaminer’s article falsely claims that the hearings against him are expected to be wrapped up within a week of the article’s publication. Actually they are more likely to go on for many months. The article thus contributes to trying the case in the court of public opinion and thereby contaminates the formal administrative proceedings. While Kaminer mentions that Wilson sent a response to the accusations to his supporters, the only thing in that response that she quotes is his overall charge that he is being politically persecuted. Without providing details as to why Wilson makes such a claim about being politically persecuted, Kaminer’s article makes Wilson’s charge sound like a defense strategy without any basis. Further supporting the suspicion that the accusations against Wilson are part of a larger attack on organized labor, Kaminer also fails to mention that Wilson’s union, the Professional Staff Caucus (PSC) is supporting him. PSC president Barbara Bowen even sent a letter to the Times in his support, which the New York Times did not see fit to print. The larger relevant context that Kaminer leaves completely untouched in her article would have given Wilson’s charge of political persecution at least some substance. She could have mentioned, for example, that all of the Graduate Center’s progressive and pro-labor adjunct faculty and staff were summarily dismissed around the same time as the accusations against Wilson were being raised. It is hardly a coincidence that this happened at the same time. Another piece of evidence for the new political direction of the Center becomes visible when we see that although interim GCWE director Corey Robin criticized the subleasing of the center’s classrooms to a French business school, while situating a state department-funded “Human Rights in Iran” program to occupy the space, which is designated for CUNY students. Of course, all of this is happening in a time when there is a concerted effort to weaken the labor movement throughout the U.S. The GCWE has played an important role in educating progressive leaders who have come out of the labor movement. Some of the program’s graduates are important progressive elected officials in New York City, such as Jumaane Williams and Cory Provost, the first a city council member and the second an important community leader in Flatbush, Brooklyn. It would be nice if the New York Times deemed it just as important to report on the larger context of the story as it did to the public besmirching of a respected professor’s name. 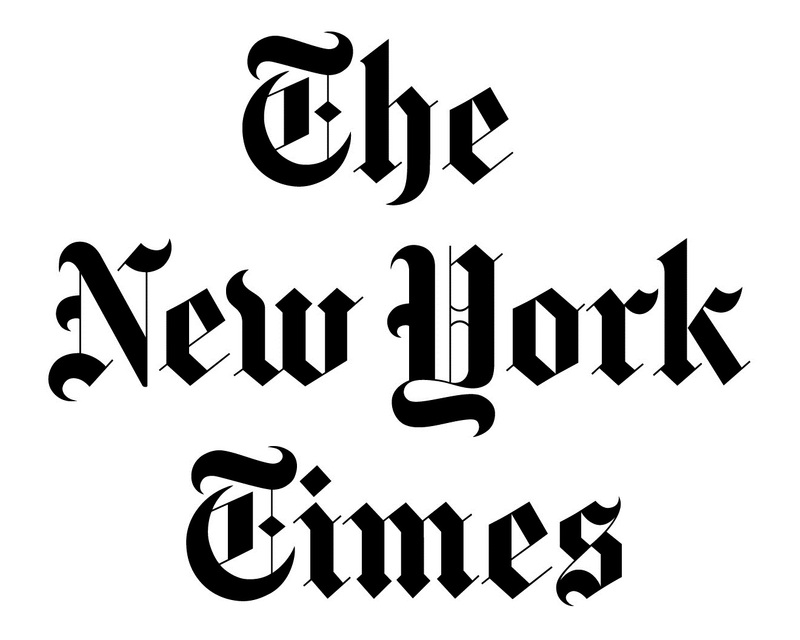 In the service of the full exoneration of my client Professor Joseph Wilson, I am writing to clarify some of the misstatements and errors contained in Ariel Kaminer’s article, while acknowledging the Times attempt at balanced coverage. Dragging Professor Wilson in CUNY’s accusatory mud, in advance of any administrative determination of his innocence in a grievance proceeding is tantamount to a public flogging, if not a lynching. This is neither due process nor justice in the public interest. Regarding my client’s compensation, the CUNY collective bargaining agreement states (Section 24.4(b)(4) ) “The specific budget and dollars allocated for summer pay would be determined locally by the College not by CUNY Central and not pursuant to an agreement between the University and PSC.” Therefore Professor Wilson’s compensation for summer and intersession work was fully legitimate and justified. As for the accusations regarding book and equipment purchases, these were fully transparent and approved by CUNY. Purchases were made from a personal discretionary “in service” account provided by the University for work performed by Professor Wilson– for his personal use–and had no relationship to Worker Education. Therefore book and equipment purchases were legitimate and violated neither law nor university policy. The article mistakenly states that the disciplinary hearings will conclude this week. In fact, the next hearing date is currently being scheduled. The hearing process will take months if not years to administratively litigate and arbitration is the next step in this process. Public documents and investigative journalism will reveal that Professor Wilson’s school related travel was fully vetted and approved in public meetings with university administrators presiding. As the article correctly points out, The Graduate Center for Worker Education was founded some 30 years ago. Unfortunately, what the Times and CUNY omit is that the GCWE was historically an evening graduate program. Hence, CUNY’s sophistry and the sinister implication regarding evening classes, left unquestioned by the Times, is endemic of CUNY’s prosecutorial incompetence: GCWE students have always been welcome from 9am to 10pm daily, and on Saturdays. Apparently neither the Times nor the CUNY prosecutor spoke to students to confirm that simple fact, or to confirm the fact of Professor Wilson’s year-round availability and work ethic, was characterized by external reviewers as “Herculean” . Importantly, the need to generate program revenue has been encouraged by previous administrations and is ubiquitous throughout CUNY. The GCWE worked in concert with City College, with full support of successive Brooklyn College administrations, in an era of fiscal austerity driving programs like Worker Education to be self-sufficient. At no time during this nearly three year ordeal, were any of these charges, or the accusations that have already been abandoned, ever discussed by the CUNY administration with Professor Wilson: rather than easily resolving these issues, CUNY seeks to criminalize the faculty and its own decades-old institutional practices, wasting taxpayer’s dollars in the process. Thus a longstanding local campus feud and vendetta initiated by the political science department has escalated to a senseless disciplinary and prosecutorial folly gracing the pages of the NY Times. 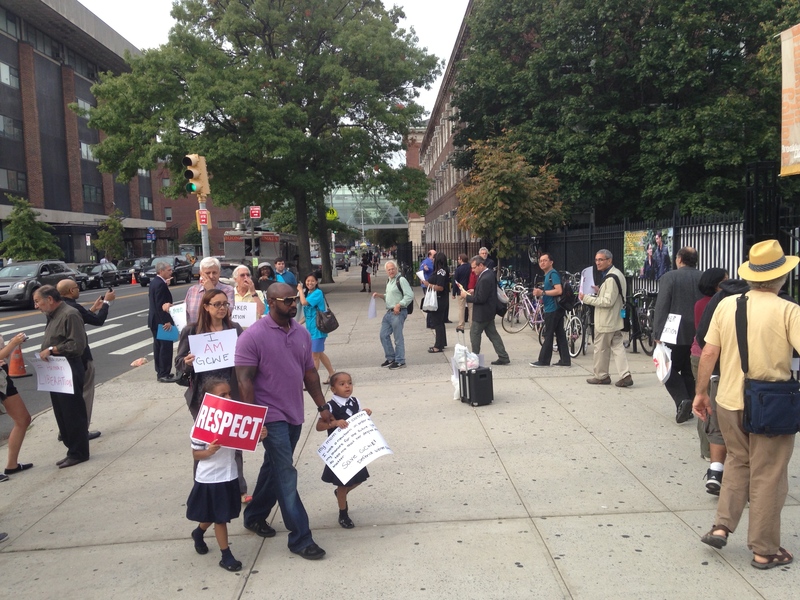 CUNY’s pattern of viewing and treating faculty and students like the “enemy” says more about CUNY than my client. Only when this case is brought before an independent arbitrator will my client be totally absolved and vindicated. Unfortunately, and prematurely, the Times enters this fray without providing the context of the charges or an understanding of the contradictions within. Moreover, if CUNY can get away with this against an accomplished, popular African American scholar and program director, stemming from a longstanding faculty feud, the arrival of the McCarthy-like corporate university is truly upon us. 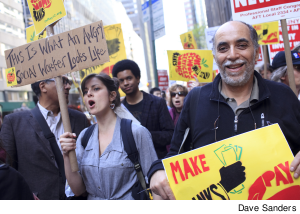 An irony is that some CUNY College Presidents, apparently get hundreds of thousands in unreported extra pay. However, since 1996 my client worked for and fastidiously reported his director’s income that was established and approved by the College. Sadly, while very aware of the racial undertones and backdrop surrounding this saga, nevertheless the article fails to acknowledge this element of the conflict as manifested in the mass purging of faculty of color and progressives and in the mistreatment of students, most of whom are woman, at the hands of faculty and administrators widely perceived as elitist and racist. Perhaps labor law and civil rights violations would be equally worthy of investigative journalism? Also omitted by the Times are the numerous faculty claims and grievances pending and decided against the political science department, and the College’s administration–including Professor Wilson’s claims. The silence of the Times on this point represents acquiescence to management’s perspective and omits the larger critical point that the only real opportunity to have the facts examined and determined by a neutral party is through arbitration. Professor Wilson’s defense is supported by the Professional Staff Congress, the faculty union. This circumstance and the PSC’s statements have also been omitted in the article. In fact Professor Wilson’s work and integrity has enjoyed wide and deep national and international support. It’s curious and notable that the University will provide documents and statements concerning Professor Wilson, but has not been forthcoming about its Vice President for Finance or successive presidents to whom Professor Wilson reported on budgetary matters. Thus, CUNY’s assertions, innuendos and half truths, both large and small, are left unexamined by the Times. The destruction of a once vibrant graduate program serving New York’s working class at the hands of an irrationally motivated faction in the political science department, and an unpopular president who has lost the confidence of the Brooklyn College’s faculty, is indeed the larger story. When will the Times investigate the adverse actions committed by the CUNY administration against students, staff and faculty in this affair? We only hope that the Times will devote as much coverage to my client’s exoneration as it does to this litany of hyperbolic innuendo and baseless accusations. As a graduate of the GCWE, and former student of Professor Wilson, I serve as Chair of the Committee of Concerned Students, Alumni, Faculty, and Staff – a group determined to assure the campus at 25 Broadway remains dedicated to worker education. I was disheartened to read Monday’s article publicly airing unproven accusations with little mention of what is the more important story of Brooklyn College’s destruction of an internationally lauded worker education program. In my experience, the GCWE provided an outstanding MA program that is otherwise not available to non-traditional students in NYC. Unfortunately, this article promulgates a false narrative without the due diligence that would otherwise uncover a Brooklyn College administration that left students and alumni of the GCWE unnecessarily defending the merit of their degrees. In a larger social context this shows how people of color, immigrants, single mothers, and the working class are all too frequently denied access to higher education and maligned in the process. The January 12, 2014, story entitled, “CUNY Hopes to Dismiss Brooklyn College Official Over Financial Inquiry,” misses the reality that everyone in this longstanding program was purged, and the program itself dismantled. Full-time faculty were involuntarily reassigned, and adjunct faculty and part-time student assistants summarily fired. Students enrolled in degree-earning disciplines were left hanging, no longer able to complete degrees in a program that for over thirty years turned out graduates who went on to become elected government leaders and union officials. It is clearly an academic freedom issue because so many rights of so many were violated. It is an academic freedom issue because as an instructor one can no longer teach and as a student one can no longer learn in a stimulating environment in lower Manhattan where working people conveniently took classes on their way to earning a substantial degree in fields that “enhanced academic skills and job mobility”, a quote taken from the Middle States 2005 external review that specifically commended this program that CUNY management has seen fit to destroy. Monday’s story about Brooklyn College seeking to dismiss Joseph Wilson, the long-time director of the College’s Graduate Center for Worker Education, misses the real story. While Prof. Wilson is in the midst of a due process hearing far from concluded, the Graduate Center and its academic program has been largely dismantled to the detriment of its students, mostly workers of color, whose achievements the college has denigrated. Some points in the story are simply wrong, as the one reporting that students were kept out of the Center until the evening because some of its rooms had been rented out during the day. In fact, in my eight years teaching there, many students and others who worked nearby came in during the day to speak to the academic staff. Only when an interim director replaced Prof. Wilson did the Graduate Center empty out, and students and instructors were sometimes prohibited from meeting there outside of class hours. Once a vital intellectual hub, it became a littered, empty shell in the guise of “improving” the program. That’s the real story. In an era in which faculty are urged to find outside funding, it is very strange to be punishing an ambitious and entrepreneurial faculty member for his accomplishments. Salary supplements provide real incentives to faculty, especially in public universities where program funds are scant. It is a grave mistake for Brooklyn College and CUNY administrations to be sending a message that efforts to find outside support will be subject to arbitrary and punitive rules. I write in response to the January 13, 2014 New York Times article entitled “CUNY Hopes to Dismiss Graduate Center Official Over Financial Inquiry.” The tone of the article inappropriately portrays Professor Joe Wilson as if he has already been found guilty of whatever financial mismanagement CUNY accuses him of. To date, no such judgment has been rendered and no proof of wrongdoing has been offered to the public. All we have are accusations and conjecture. Although the article’s author Ariel Kaminer stops short of saying Professor Wilson is guilty, rebroadcasting such accusations in the middle of an investigation can destroy a person’s reputation, especially when and if that person is found to be innocent as I believe Professor Wilson will be. I graduated from the Graduate Center for Worker Education six years ago. Since then I have gone on to work for a New York State Assemblyman and I am currently completing my doctorate in political science at Rutgers University. Without the GCWE program and without the guidance of Professor Wilson I would not be where I am today. I am sure that a lot of people in this city can say the same. For that reason I am dismayed by any rush to judgment that would tarnish his good name, and I beseech the Editors of the New York Times to print a correction that clearly states that Professor Wilson is presumed innocent and that anything in Kaminer’s article that would cast doubt on that assumption was printed in error. As a scholar and graduate student of Brooklyn College’s GCWE, as well as a former student of Professor Wilson, I was dismayed by the slanted article “CUNY Hopes to Dismiss Brooklyn College Official Over Financial Inquiry”. In a short of words, this has been nothing more than a modern day public lynching and a severe disservice to America’s way of due process. While the stakeholders at Brooklyn College has unequivocally decided to dismantle this well lauded program, the teachings and the curriculum at GCWE as a whole has empowered me with a voice to stand-up and say No, enough is enough. As a top down approach, marginalization is becoming too common, more importantly widely accepted. While working a full-time job, paying taxes and being a well-respected community member, my degree is a proud symbol of my achievements. I am extremely disheartened that the NY Times has decided to print such a disproven, unfounded and factually inappropriate article. The stakeholders at the Times should be beholden to their mantra, “All the news that’s fit to print”; nevertheless facts should matter in time for the printing press. The Professional Staff Congress/CUNY (PSC) is the union that defends the rights of the CUNY faculty and professional staff, including Professor Joseph Wilson. Your article does not mention that we declined to comment on the allegations against Professor Wilson; no matter how strong the member’s case is, the union does not publicly discuss open disciplinary cases. The PSC and CUNY have a jointly negotiated process for resolving allegations of misconduct, a process that includes a final decision by an impartial arbitrator. In numerous cases CUNY has leveled serious charges against employees only to have a neutral arbitrator rule that the allegations had no merit. It is improper for CUNY to attempt to try its case in the media, and we are disappointed that the New York Times would permit CUNY to do so. As has happened at so many colleges and universities around the country, administrators at Brooklyn College of the City University of New York are moving to eviscerate a program that for years has provided invaluable educational opportunities for working class students. The college’s plan to dramatically scale back the Graduate Center for Worker Education is one of the latest efforts to curtail examination of working class issues done in a way designed to provide students with activist skills. This development will no doubt be familiar to anyone involved in or aware of similar programs around the country that have recently been killed or are struggling mightily to survive. Among the principles behind the trend to eliminate such programs, two stand out: first, that college and graduate school should be the exclusive province of the well-to-do; and second, that education should serve the interests of the business class. Rarely do proponents openly enunciate those principles, however, and such is the case at Brooklyn College. So, for example, management advocates of the suggested changes justify the proposed move of the Graduate Center from Manhattan to Brooklyn in the name of consolidation, glossing over the fact that there are far more union halls and working class jobs in Manhattan. In addition, administrative criticisms that the program does not meet the standards of a labor studies program conveniently ignore the fact that the program is not, never was, and does not aspire to be a labor studies program. As for the rationale for cutting evening classes to a grand total of one, and that scheduled for 6 PM in a program long geared toward students who traditionally have things to do during the day like, say, work – well, apparently no one was able to come up with a good cover for that one. Many of the program’s students belong to unions some of whom have gone on to leadership positions in their locals. Some are rank and file union members, while others are employed by workers centers and similar organizations. Others who may not fall into any of those categories are nonetheless activists and writers who advocate for working class concerns via articles, in-depth studies, research papers while also participating in organizations and coalitions resisting austerity. The need for the program’s continuation in its present form – or, better still, its expansion – is obvious, as the devastating impact of the radical upward redistribution of wealth of recent decades is especially pronounced in New York City. Institutions with rich working class traditions such as CUNY and Brooklyn College should be in the forefront in the fight against such trends, not in the business of accommodating corporate elites. The Graduate Center also offers its students, not to mention residents of the city as a whole, an ongoing series of events that deepen their understanding of crucial issues. Earlier this year, for example, it hosted the annual conference of the Labor and Working Class History Association which was the largest in LAWCHA’s history. The program also hosts a regular schedule of forums featuring accomplished scholars, writers and activists that, from this author’s experiences, are always well-attended and lively. Of particular note is the regular inclusion of guest speakers who are rarely invited to mainstream venues, including union halls. As adjunct teachers in the Graduate Center have been fired, the performance of the faculty union, the Professional Staff Congress, has been seriously lacking – some in the program have described it as collusive – despite the PSC’s progressive reputation. Rather than taking up teacher firings as a collective issue that is part of a concerted campaign, PSC staffers have instead approached cases on a one by one basis, with predictably poor results. With a few exceptions, the union’s staff has also looked askance at the growing resistance to management’s plan to eviscerate the program. That resistance has been spearheaded by the Committee of Concerned Students, Alumni, Faculty and Staff. Formed earlier this year, the Committee has reached out to academics, union members, students throughout the CUNY system and other New Yorkers with a petition that has garnered nearly 2,000 signatures. It has also held several public actions the most recent was a spirited rally at the main Brooklyn College campus on October 3rd. 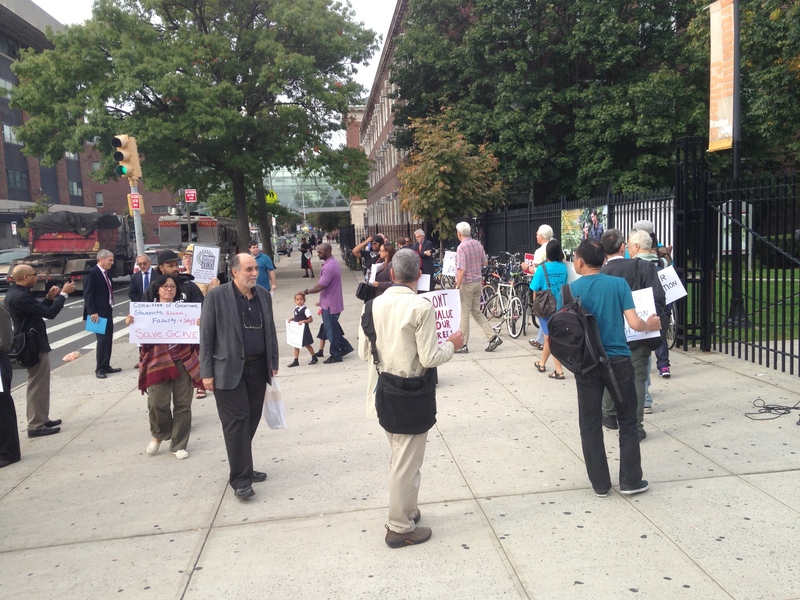 The Committee’s petition can be viewed athttp://petitions.moveon.org/sign/save-brooklyn-college and the group can be reached at committeeofconcerned@gmail.com. Go to www.workereddefense.org for updates and other information. On Thursday October 3rd there will be a protest against Brooklyn College’s arbitrary decision to close the Urban Policy and Administration (UPA) program at the Graduate Center for Worker Education (GCWE). For more than 30 years, the Brooklyn College, City University of New York, Graduate Center for Worker Education, located in downtown Manhattan, has provided an opportunity for New York City working-class professionals to earn masters’ degrees in Urban Policy & Administration with specializations in New York City Government and Health and Nutrition Sciences. Proud alumni have gone on to elected and public office in New York City and careers in law, higher education, labor unions, public health, and non-profits. In short, the GCWE has made it possible for New York City’s diverse, working-class population to get the skills and credentials they need to advance in their professional careers and also advance the interests of the working-class as a whole. Please visit our website to see our petition, as well as related articles that have been written concerning this cause. “Petition to Dr. Karen Gould, President, Brooklyn College, CUNY: Don’t jeopardize the incredible legacy Brooklyn College has in empowering New York City workers. Fully restore the Urban Policy & Administration and Health and Nutrition Studies programs at the Downtown Manhattan campus of the Brooklyn College Graduate Center for Worker Education. These programs are crucial for hard-working people of New York City, their families and diverse communities. 1. Full restoration of the educational and support services available to students at the Downtown Manhattan campus of the Brooklyn College Graduate Center for Worker Education Program. 2. Extend the admissions deadline for fall to August 1st, as do other CUNY worker education programs. 3. Accept students for spring admission. For a program to be open to working people, they must be able to make their own decision about when they are able to begin their graduate study. 4. Restore a full-time academic advisor to the Brooklyn College Graduate Center for Worker Education in lower Manhattan to assist students, guide them through the admissions process, advise them on their program, and help them to register, as is the practice in all the other CUNY worker education programs. 5. Assign an interim director to the Brooklyn College Graduate Center for Worker Education who is committed to sustaining a worker education program. 6. Conduct a full search for an equally committed permanent director. The student body must approve the individual finally chosen as director and be fully involved in all stages of the interview and selection process. 7. Restore the Brooklyn College Graduate Center for Worker Education’s full complement of activities; e.g. forums, conferences, etc. 8. 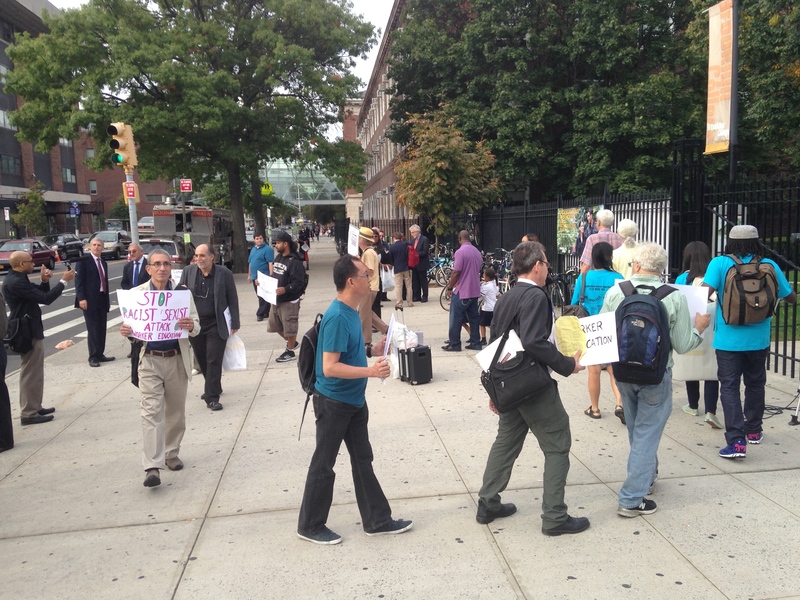 Reinstate the quality faculty members who previously taught at the center. 9. Provide a clear statement about how students will be able to take the necessary course work to fulfill the center’s graduation requirements despite the current dearth of options. Attached is a list of individuals who have added their names to this petition, as well as additional comments written by the petition signers themselves.